Day Entry	 Register here to attend the RiverKnits Open Day. Submitting this form indicates your permission for us to email you about the event. We won't email you about anything else! We are very excited to invite you to our Open Day! Come and see our studio and shop at the Royal Ordnance Depot in Weedon, Northamptonshire. Have a browse round the pop-up marketplace featuring some of our favourite yarn people, and watch the demonstrations during the day. There are other things to see and do on-site, including a visitor centre for exploring the site’s heritage, a bookshop, a café, a vintage shop, and more! It’s completely free to attend, but please RSVP above so we can get an indication of numbers. Wet Blocking – At 1pm in the studio-shop, Fay from Knit It – Hook It – Craft It and the very informative Crochet Circle Podcast will be showing you how to get the best looking finished woollens. 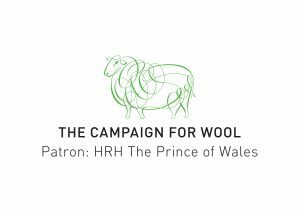 Machine Knitting Socks – Throughout the day, Jonny of Garthenor Organic will be demonstrating the process of knitting socks on an original vintage circular sock knitting machine on his stand, just how they used to be made! Choosing Colour – At 2pm in the studio-shop, Becci from RiverKnits will be showing you how to select colour combinations that work well in your projects. The Booksmith is a bookshop in Building 1 with a café serving coffee, teas, cold drinks, cakes and pastries. There is also Phatfills, a burger van serving a range of hot food and cold drinks. He is open from 9am – 1pm. Toilet facilities can be found in the visitor centre in Building 90, or in Building 75. Our studio is on the first floor of Building 14, with stair-only access. We regret that this is not fully inclusive for those with mobility issues. If there is anything we can do to accommodate you and make your visit easier, please don’t hesitate to get in touch. There will be plenty of seating available on the day. Save this image to your phone to easily refer to on the day. By car, Weedon is 4 miles from junction 16 of the M1 motorway. The main entrance to the site is on Bridge Street. Don’t let your satnav take you down Cavalry Hill because you will not be able to gain entrance from there. 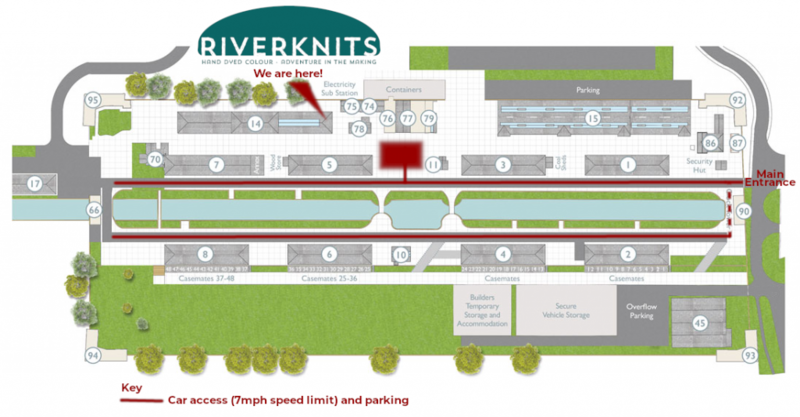 You can park on-site, on either side of the canal (see site map) or just before Building 5 if there is space. Please look out for pedestrians at all times when driving on-site. If there is no room, there is an additional off-site car park a short walk away on Bridge Street. By public transport, there is a regular bus service that runs between Rugby, Daventry, and Northampton – full timetable. By canal, the Grand Union Canal runs directly through Weedon, and the venue is a 5 minute walk from the towpath. Sadly, the arm that runs down the centre of the Royal Ordnance Depot has been cut off from the Grand Union, but you will be able to see where boats used to come in!